عندما تزور خليج هيرفى, ستشعر أنك في بيتك في Hervey Bay Colonial Lodge الذي يقدم لك إقامة متميزة و خدمات عظيمة. يقع الفندق على بعد 5.0 Km من مركز المدينة، ويؤمن الوصول إلى أهم مراكز المدينة. يشكل هذا الفندق ملاذاَ مريحاً للاسترخاء ويمنح زواره فرصة للاستجمام والتجدد، وهو يقع على بعد خطوات من المعالم السياحية الكثيرة للمدينة كمثل: اوزي روفنج 4ب4, ايه 1 فرازر روفنج, كوالا ادفانتشر. إن الخدمات التي يقدمها Hervey Bay Colonial Lodge تضمن للنزلاء إقامة مريحة. تتضمن الميزات الرئيسية في هذا الفندق: واي فاي مجاني في جميع الغرف, واي فاي في المناطق العامة, صف السيارات, جولات, تأجير دراجات هوائية. استمتع بوسائل الراحة الراقية في الغرف أثناء إقامتك هنا. بعض الغرف تتضمن تلفزيون بشاشة مسطحة, اتصال لاسلكي بشبكة الإنترنت (مجاني), غرف لغير المدخنين, مكيف هواء, تدفئة لمساعدتك على استعادة طاقتك بعد يوم طويل. يقدم الفندق مجموعة رائعة من الخدمات كمثل حمام سباحة خارجي, حديقة، لجعل إقامتك تجربة لا تنسى. إن كنت تتطلع إلى إقامة مريحة وهادئة في خليج هيرفى، فستجد في Hervey Bay Colonial Lodge بيتك الثاني. ليس لدى مكان الإقامة مكتب استقبال على مدار الساعة. يُطلب من النزلاء الذين يصلون بعد الساعة 8 مساءً الاتصال بالفندق مباشرة قبل الوصول بيوم واحد على الأقل. This is the second time we have stayed here with our families and we are very pleased with this accommodation. Everything is spotless and has all you need to make your stay comfortable. Owners very nice and the grounds are kept very tidy and a pleasant place to just relax near the pool. We stayed in the Colonial Lodge 3 nights and enjoyed it very much. It was probably the best accommodation we have had in a month traveling in Queensland in that price range: super clean, fresh, well equipped and giving me a great sense of comfort (and I am not easy to satisfy). Location was great too, close to the beach, short walk to some good restaurants. Really great place! Overall we had a good experience. Better than we expected. The room was immaculate and the motel is within walking distance to restaurants. Staff service is outstanding. Very pleasant stay. Highly recommended. My husband and I stayed here in October 2017. The room was very generous in size, the cleanest place we’ve ever stayed and the hotelier was so friendly & helpful. Would definitely stay here again & recommend this hotel highly. Hervey Bay Colonial Lodge is a great place to stay. The apartments are very functional with good facilities. Their is a BBQ area on site, which we used several times. There is also an on site laundry. The whole place is clean and well maintained. The pool makes for a relaxing time. Peter is very attentive, friendly and helpful and will organise tours out for you. It is also in a quiet area. A very relaxing place. 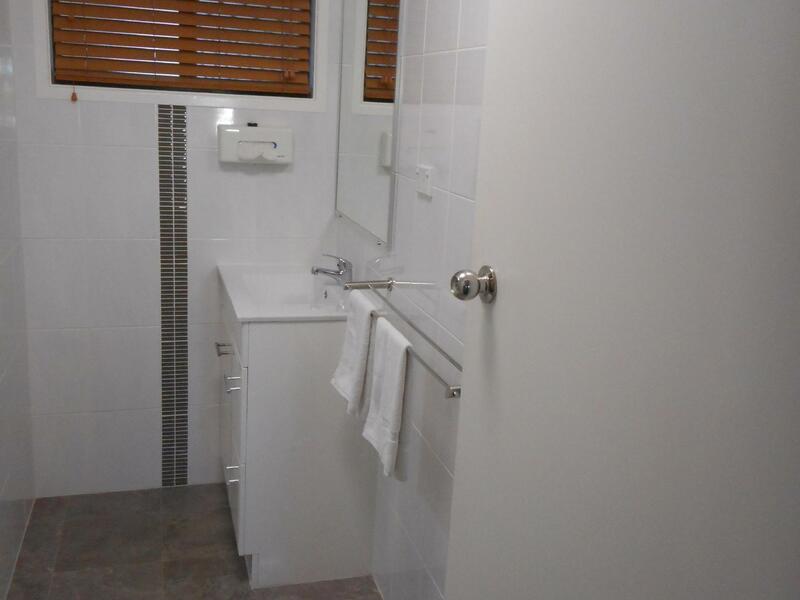 Very clean, spacious apartment with quality fittings and facilities. Good location, great pool and friendly service. We stayed here for one night only but were surprised by the greeting from the gentleman in the office who shared some great places around Hervey Bay then proceeded to take us to our accommodation. Very clean with all you need, even oil, salt and pepper for use in the BBQ area. Will definitely stay here again but for longer next time. We only stayed one night, being in town for a friend's party, but it was a great experience. If I were staying in Hervey Bay longer, the Colonial Lodge would be at the top of my list. I particularly liked that there is a full kitchen including a gas range and oven; I prefer to self-cater to keep costs down. The apartment had all we needed. The staff were helpful. Being one street back from the beach, it was close but not noisy. No complaints, very happy.